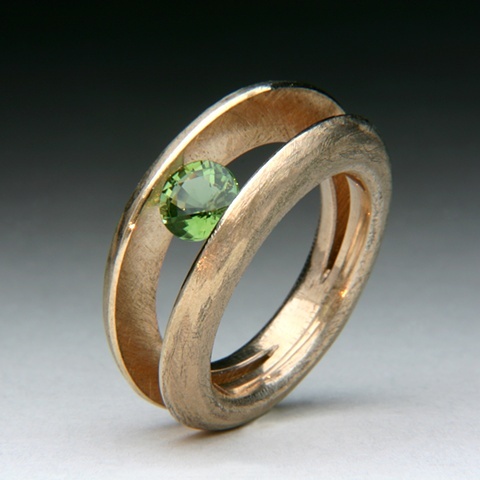 This ring is stunning it has a tension set green tourmaline. The metal is a custom alloy I have created called Robonium. Ring size: 8 1/2, please convo me about sizing this ring. It has limitations on sizing and a sizing fee. To purchase this ring click on the price and it will take you to Paypal for checkout. Price includes shipping in the USA, International buyers please convo me regarding shipping out of the USA.